Live local broadcast IP TV channel. Thirty years ago I was part of trying to start a local TV station. The idea was sound, the business plan was tight and we had local advertisers ready to go. Though one thing got in the way, the licencing fee from the government was so high it locked us out of the market. In those days Australia had essentially 4 TV channels and few more regional and experimental channels. The commercial channels were so profitable and so popular there was a buzz about even being invited into their offices. It was in effect a protected industry with legislation and procedures to keep competition out. It was in other words not going to happen. Fast forward 25 years and the world has changed in on major way, the Internet is now everywhere and bandwidth is increasing with every year that goes. All of which makes the streaming of video a viable and realistic option for most people. We've been Researching and Developing a new business model for 16 months. We've trialled a series of production tools and broadcast options. More importantly we've worked with existing high quality content producers to fully aggregate and re-broadcast quality content in a format available to 85% of the population. We've called the project Gigabitcity.tv We think you'll agree, a new era of local, high quality content production and broadcast is now within reach. Here is the result: A fully aggregated news and information service with the ability to schedule pre recorded content and stream live news, weather and other shows as it is deemed appropriate. Broadcast can be accessed via mobile phones, PCs, tablets and TVs. Public screens in libraries, in shop windows or shopping centres are also possible. Advertising revenue is catered for through multiple parts of screen realestate. Additional revenue can be generated by design and production of advertisements and specialist programs for public or private viewing. If you're interested in creating a local of subject specific live broadcast IP TV channel contact us today and we'll walk you through the opportunities. Is the Apple Watch the next iPhone? After a huge fanfare it appears that Apple's much hyped Apple Watch has gone with the wind. Google, Garmin and many others have been quick to launch or relaunch their smart watches to the world. "Our fans all aspire to having one"
Yet a recent visit to a city Apple store revealed an incredible interest in Apple Watch. "Our fans all aspire to having one" said one of the blue shirted Apple Geniuses. He's right the word "aspire" seems apt. Not everyone I spoke to could justify the cost of between $500 and $1500+, depending on their fashion sense and bank account. With so many 'aspirations' Apple has planted a powerful seed in the mind of millions of people around the world. It would only take a killer app to turn those aspirations into purchases. London Bus and Tube tracker - Apps that estimate when your transport will arrive, brilliantly useful. Runtastic - is one of many fitness trackers that are actually very useful when on your wrist. AirBnB - has made a splash with their Apple Watch App, adding even more convenience to an incredible service. Evernote - has a great app that adds your wrist to it's incredibly useful note taking cloud software. 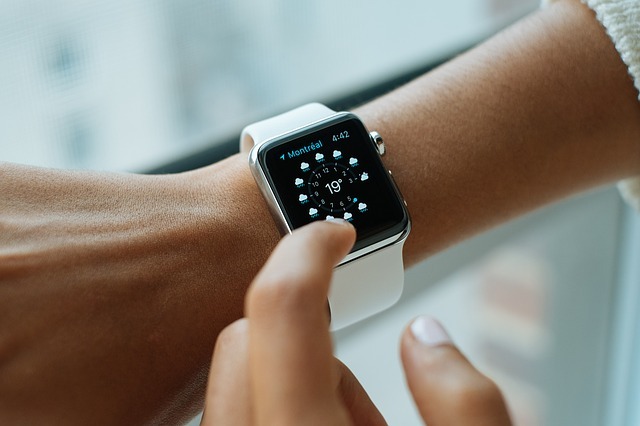 If you have an idea for a great Apple Watch app let us know, we may just be able to help you. Contact us for a confidential discussion. There has been much discussion of late of the ethics of artificial intelligence (AI), especially regarding robot weapons development and a related but more general discussion about AI as an existential threat to humanity. If Skynet of the Terminator movies is going to exterminate us, then it seems pretty tame – if not pointless – to start discussing regulation and liability. But, as legal philosopher John Donaher has pointed out, if these areas are promptly and thoughtfully addressed, that could help to reduce existential risk over the longer term. In relation to AI, regulation and liability are two sides of the same safety/public welfare coin. Regulation is about ensuring that AI systems are as safe as possible; liability is about establishing who we can blame – or, more accurately, get legal redress from – when something goes wrong. Taking liability first, let’s consider tort (civil wrong) liability. Imagine the following near-future scenario. A driverless tractor is instructed to drill seed in Farmer A’s field but actually does so in Farmer B’s field. Let’s assume that Farmer A gave proper instructions. Let’s also assume that there was nothing extra that Farmer A should have done, such as placing radio beacons at field boundaries. Now suppose Farmer B wants to sue for negligence (for ease and speed, we’ll ignore nuisance and trespass). Is Farmer A liable? Probably not. Is the tractor manufacturer liable? Possibly, but there would be complex arguments around duty and standard of care, such as what are the relevant industry standards, and are the manufacturer’s specifications appropriate in light of those standards? There would also be issues over whether the unwanted planting represented damage to property or pure economic loss. So far, we have implicitly assumed the tractor manufacturer developed the system software. But what if a third party developed the AI system? What if there was code from more than one developer? Over time, the further that AI systems move away from classical algorithms and coding, the more they will display behaviours that were not just unforeseen by their creators but were wholly unforeseeable. 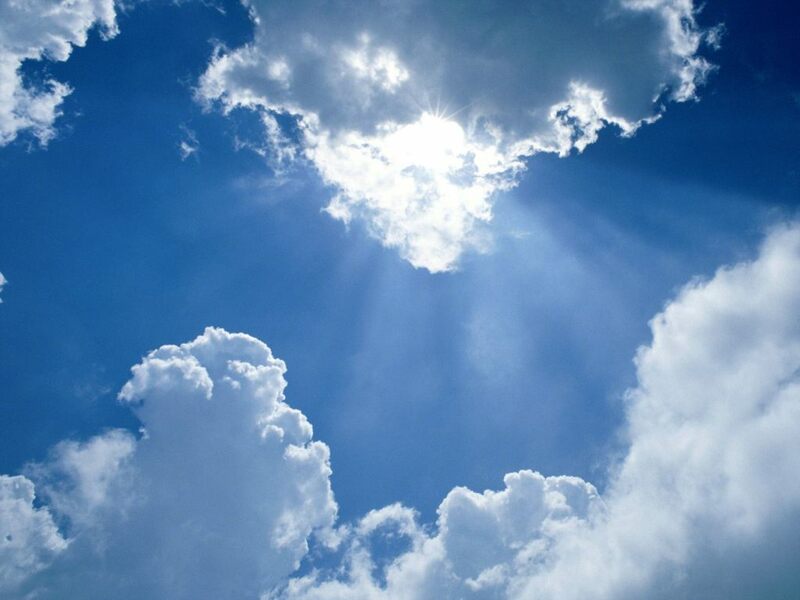 This is significant because foreseeability is a key ingredient for liability in negligence. To understand the foreseeability issue better, let’s take a scenario where, perhaps only a decade or two after the planting incident above, an advanced, fully autonomous AI-driven robot accidentally injures or kills a human and there have been no substantial changes to the law. In this scenario, the lack of foreseeability could result in nobody at all being liable in negligence. Why not deem the robot itself liable? After all, there has already been some discussion about AI personhood and possible criminal liability of AI systems. Will AI systems really be like Isaac Asimov’s Bicentennial Man – obedient to the law, with a moral conscience and a hefty bank balance? Leaving aside whether AI systems can be sued, AI manufacturers and developers will probably have to be put back into the frame. This might involve replacing negligence with strict liability – liability applied without any need to prove fault or negligence. Strict liability already exists for defective product claims in many places. Alternatively there could be a no fault liability scheme with a claims pool contributed to by the AI industry. On the regulatory side, development of rigorous safety standards and establishing safety certification processes will be absolutely essential. But designing and operating a suitable framework of institutions and processes will be tricky. AI expert input will be needed in establishing any framework because of the complexity of the area and the general lack of understanding outside the AI R&D community. This also means that advisory committees to legislatures and governments should be established as soon as possible. Acknowledging that there are potentially massive benefits to AI, there will be an ongoing balancing act to create, update and enforce standards and processes that maximise public welfare and safety without stifling innovation or creating unnecessary compliance burdens. Any framework developed will also have to be flexible enough to take account of both local considerations (the extent of own production versus import of AI technology in each country) and global considerations (possible mutual recognition of safety standards and certification between countries, the need to comply with any future international treaties or conventions etc). So as we travel down the AI R&D path, we really need to start shaping the rules surrounding AI, perhaps before it’s too late. We’ve already started discussions around driverless cars – see here and here – but there’s so much more to deal with when it comes to AI. What do we do next? Over to you. Republished under Creative Commons — Attribution/No derivatives licence. At our recent business event held in Gosford we heard direct from Google executives the importance they place on businesses and organisations registering for Google Maps and by extension mobile access. They advocated the streamlined process called MyBusiness. The revised process via the MyBusiness registration is incredibly simple. The new MyBusiness process overrides the previous registration that many found complicated and difficult to understand. A quick series of questions and a thorough validation process that involves an automated phone call or a postcard sent to your business address will have your business secured. The result will be a listing similar to that showed above. The most important point is the listing on Google Maps (seen on the right), opening hours of your business and a click through phone number. Contact Organise Internet for details on how to make the most of this registration process. We're very pleased to announce that we're bringing Google Australia to Gosford on June 22, in what we think will be a wonderful eye opener for all people involved in business on the Central Coast. Topics covered: Adwords, YouTube, MyBusiness, Maps, Mobile, Analytics, Google Trusted Store & future developments. 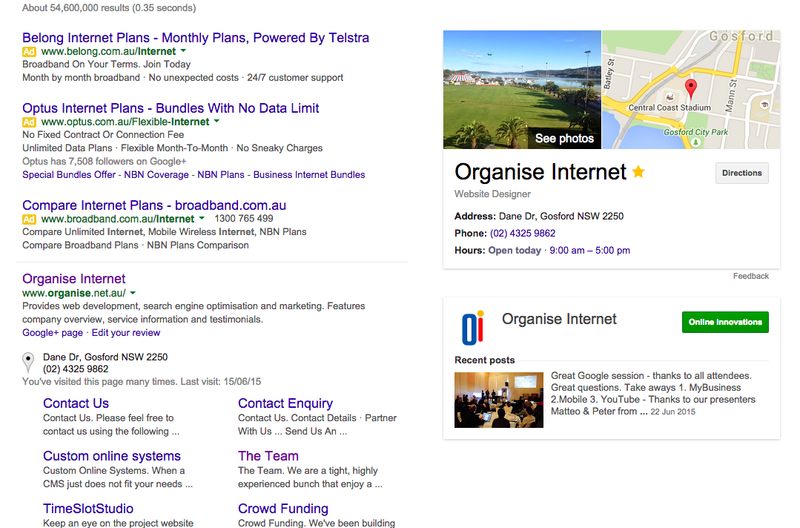 Expert focus: How to brand, profile, sell, profit and grow via search, mobile, desk top, third party assets. SEOvSEM. Assisted account setup: Bring your laptop, tablet and enact registrations, advertising credits and business validations on the day. Businesses on the Central Coast. Secure your place. 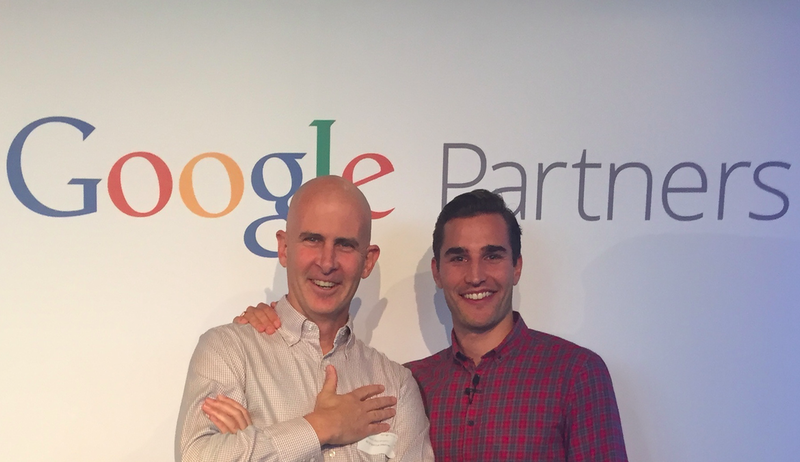 Unique event with guest speakers from Google Australia. Hosted by: OI Organise Internet a certified Google Partner. Guest speakers are from Google Australia. Event partners; Central Coast Business Review, Central Coast Leagues Club. There's been much talk about 'Mobilgeddon' and the new Google rankings adjustment that will rank mobile friendly websites higher than sites that don't render well on mobile devices. 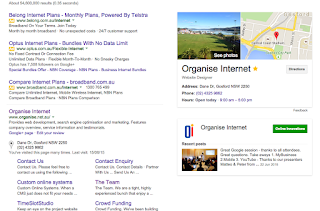 The official Google blog in Australia points out that ranking is made up of approximately 200 factors about your website, not just the ability of mobile users to view your website well. 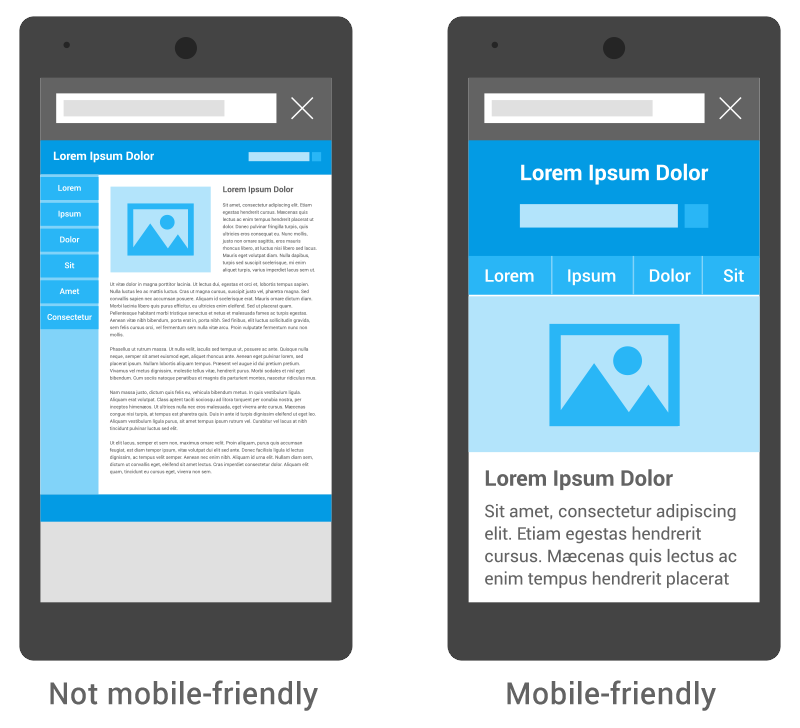 Having said that Google will be ranking websites that are mobile friendly higher than those that do not render for mobile phones for mobile searches. Fair enough, I'd certainly like to have a site that is touch screen and thumb friendly when I'm on my mobile. Google is at pains to remind people that these changes won't affect search rankings on traditional computers. If ranking is a big deal for your business, you're probably already aware of these changes and have completed the transition to a mobile friendly platform. If not, now's the time to get moving. There are two main ways of achieving this: The first is to entirely redesign your website in a what's called a 'responsive' framework. The second is to create a separate site for mobiles and if necessary create a redirect to the mobile site. Google accepts both ways as legitimate. The first method is a bigger job and suits businesses that where going to upgrade anyway. The second is a quick and effective way to maintain your ranking. Use this official Google tool to check out how mobile friendly your existing site is. Check here. We're all familiar with search engines like Google, Bing, Yahoo or Baidu if you read Chinese. Though Social Media seems to be so much more in vogue. Social interactions and chat are after-all naturally compelling. Though searching for things is increasingly important in the ever expanding web. Indeed the idea of searching or looking for something has become a necessary part of most modern activities. Teachers and students 'search' when researching subjects, Journalists 'search' when drafting an article, police search when looking for criminals. Shoppers 'search' when checking out prices and products. Everyone who's ever been on the internet searches for things, ideas, locations or histories. Looking around is a natural extension of curious nature. I like to think of social media as a top level activity, it's wonderful for brand building, customer feedback and research into what competitors are saying. Indeed Social Media is great once you've acquired a customer to keep them engaged with your brand. Though you'll also notice that Social Media platforms are pretty poor at search specific items or companies. Instead it's our collective habit to follow the opinions of friends and some of their associated friends. Search on the other hand is a validating process for most people. Whether it be a new pair of shoes or and industrial item we are increasingly being active in our research. Geographical searching via Google maps is indeed one of the most popular of Google's search platforms when buying food and larger or more expensive household goods.